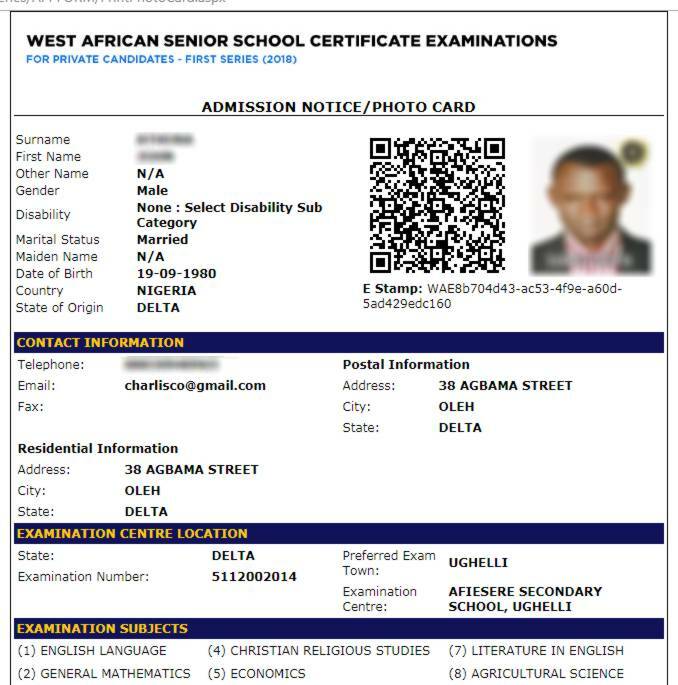 Welcome!, In this tutorial, I will show you how will be able to reprint waec gce photocard, if by one means or the other your where unable to get the first print out or misplace the first print out. 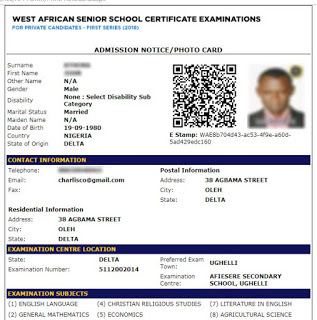 Candidate waec gce profile user name and password. Step 2. Type in the candidate waec gce profile username and password. Candidates are not allowed to bring Mobile Phones into the Examination Hall. Candidates are advised to keep their scratch/photo cards safely, as they may be required to present them at the examination centre and for other official uses.